Ben Harris is the creator of Reinventing Science Kits, Maker Made STEM Kits for schools and hobbyists. 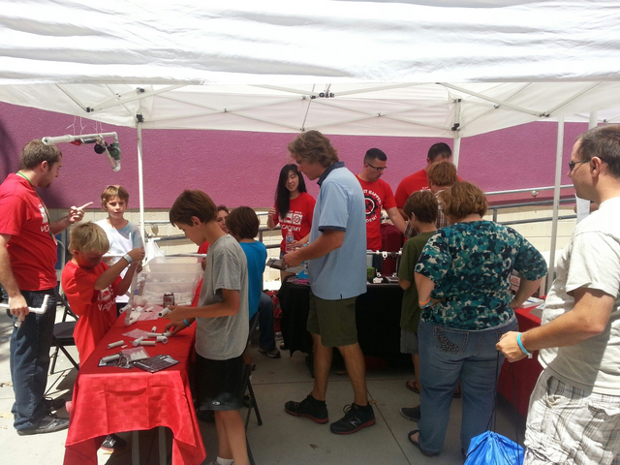 Through Harris Educational Ben has started the Alamance Makers Guild a maker community in Burlington North Carolina and with their help he produces the Burlington Mini Maker Faire in its fourth year in 2015. Follow Ben at the link below for daily STEM and Maker articles, videos, and links. Check out California’s newest Maker Faire, the Inland Empire Mini Maker Faire held at the Vocademy Maker Space in Riverside California on Saturday October 4th from 10:00am to 6:00pm. If you have a cool project you’d like to show off to the world then check out their Call for Makers and sign up to exhibit! If you would like to volunteer, sponsor, or just attend, then check out their website to learn more! 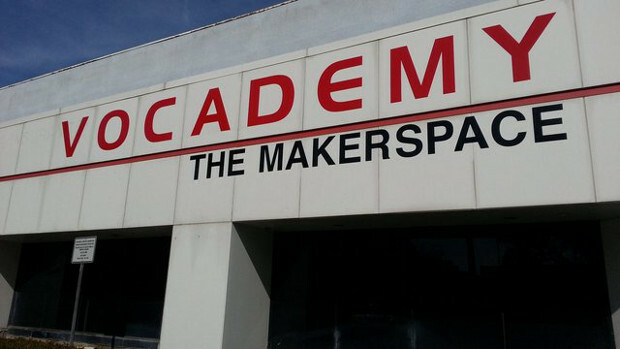 The Inland Empire Mini Maker Faire is being produced by Gene Sherman one of the founders of the Maker Space “Vocademy.” Gene is an educator at heart and his vision for the Vocademy maker space wasn’t a boys club, or just a hang-out spot for engineers, but a place where anyone could come and learn real world vocational skills. 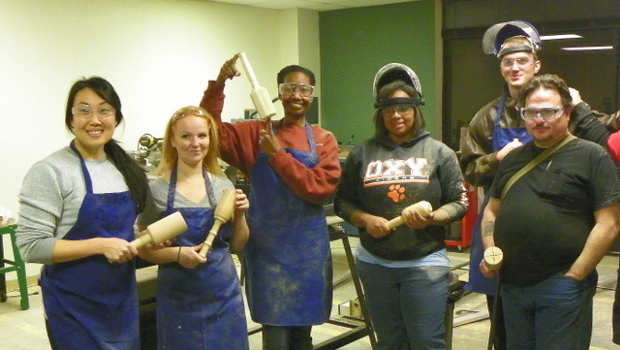 Vocademy is a cool mixture of classes, mentors, equipment, and social interaction. I met Gene and Vocademy’s marketing director Neeley Fluke at the Maker Summit in Arlington VA earlier this year. I then saw him again at the White House Maker Faire. Gene’s ideas for Vocademy are so cool his work there earned him one of sixteen “honored maker attendee” spots! Gene, Neeley, and the rest of the gang from Vocademy are on a mission to help connect people to 21st century skills that can help them get jobs. They even have the Mayor of Riverside on board, helping the local government take part in the Mayor’s Maker Challenge. If you don’t live within traveling distance of the Inland Empire Mini Maker Faire you can still find an amazing Maker Faire near you! Check out this site and find your nearest Maker Faire!